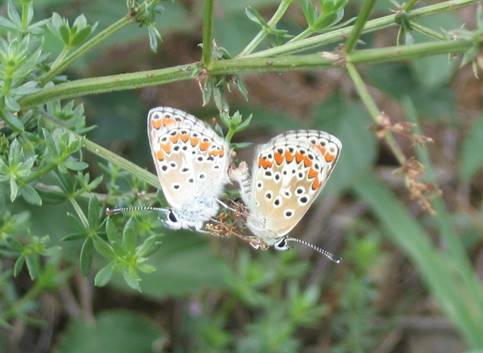 This is a common species. 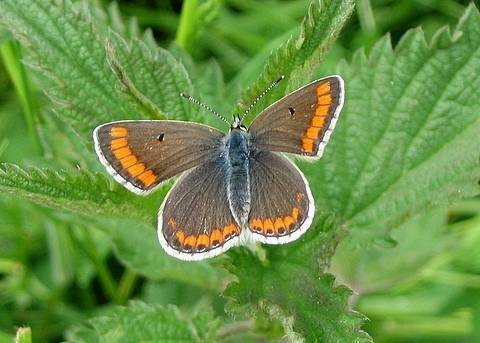 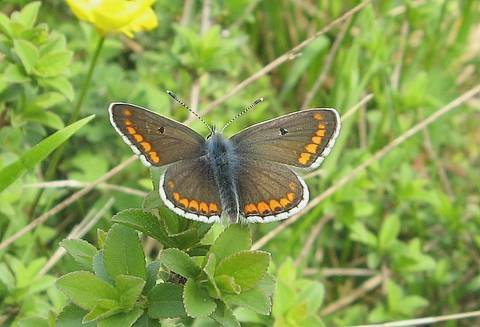 Both sexes are brown on the uppersides with a row of bright orange lunules (more developed in females) around the edges. 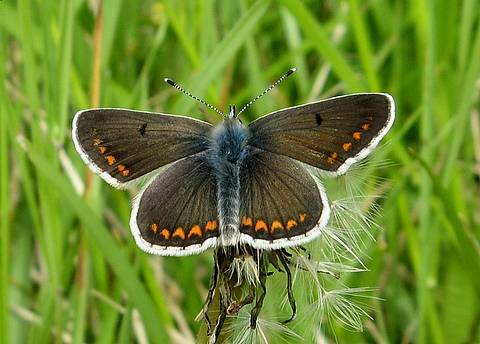 The butterfly is small and strikingly pretty when basking wings open in sunshine. 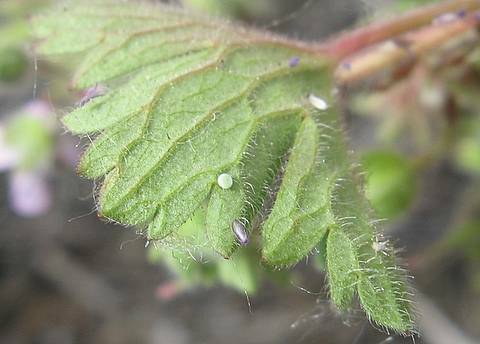 Females have been observed laying eggs on cranesbills (Geranium sp.) 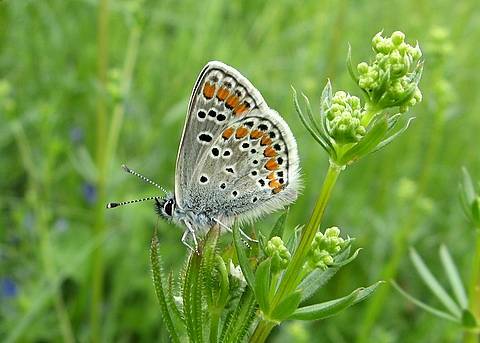 Care must be taken not to confuse the species with the Common Blue female which often flies in the same habitats.